MOSCOW (Reuters) - A new appraisal names the United States as one of the threats to Russia's national security for the first time, a sign of how relations with the west have deteriorated in recent years. 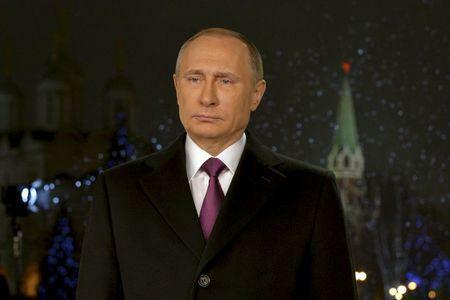 The document, "About the Strategy of National Security of Russian Federation", was signed by President Vladimir Putin on New Year's Eve. It replaces a 2009 version, endorsed by then- President Dmitry Medvedev, the current prime minister, which mentioned neither the United States not NATO. "The strengthening of Russia happens against the background of new threats to the national security, which has complex and interrelated nature," the document says. Conducting an independent policy, "both international and domestic" has caused "counteraction from the USA and its allies, which are striving to retain their dominance in global affairs." That in turn is likely to lead to "political, economical, military and informational pressure" on Russia, the document says." The document says that the United States and the EU have supported an "anti-constitutional coup d'etat in Ukraine", which led to a deep divide in Ukrainian society and a military conflict. It also names the expansion of NATO as a threat to Russia's national security and said that the United States has expanded its network of military-biological laboratories in neighboring to Russia countries. The document, which serves as a basis for planning strategy related to national security by different state bodies, does not mention Syria. On Sept. 30, Russia began air strikes against anti-government rebels opposed to the government of Syrian President Bashar al-Assad, a Russian ally.